Much of Swaziland’s countryside is being destroyed by land degradation largely as a result of soil erosion. Beautiful landscapes are now scarred with deep lesions mostly as a result of poor land use resulting in top soil loss. 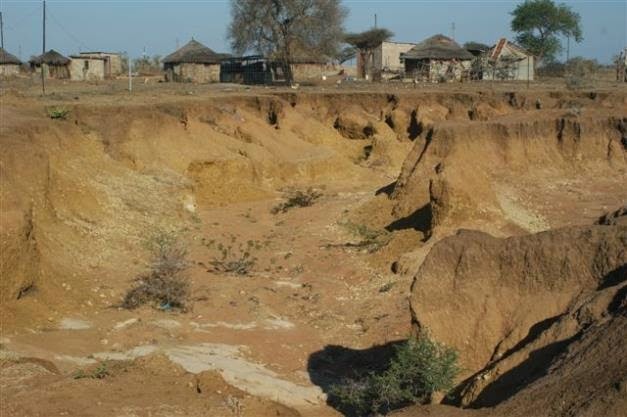 With the help of the Lower Usuthu Sustainable Land Management Project (LUSLM), funded by the International Fund for Agricultural Development (IFAD) and the Global Environment Facility (GEF), the Chiefdom of Luhlanyeni in the Lubombo region has taken the initiative to rehabilitate 16 hectares (on this site, 204 hectares altogether) of heavily degraded land and return that property to productive use. The gulley’s in the Lubombo region, East Swaziland are huge, wide and deep. During the past three years they became a serious concern as they now threaten approximately 153 homesteads. 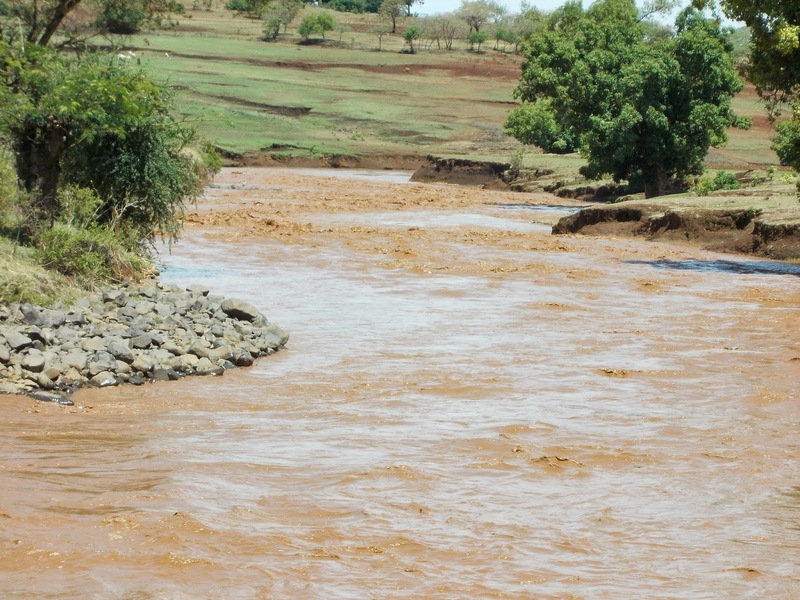 As the gulley lies in the upper areas of Lubovane Dam, it’s also poses a significant threat on the lifespan of the dam. In no time at all, this very expensive dam will be ruined by siltation, as top soil flows into rivers of mud and fills the dam. The fertility of agricultural land in the areas as well as the quality of grazing land has diminished to almost desert conditions. The community faced two options -flee, or face the problem. They chose to face the challenge and began efforts to rehabilitate the land. Initial attempts to rehabilitate the land were unsuccessful due to lack of appropriate materials and skills, among other reasons. In 2010 Conserve Swaziland, a local NGO, assisted the community to apply for funding from the National Environment Fund, under the custodianship of Swaziland Environmental Authority (SEA). The funds enabled the community to plant fruit trees and fence off the degraded area, avoiding further degradation. Further assistance was solicited from the Ministry of Agriculture’s Land Development Section, which was tasked with providing gabion cages to be erected on the degraded land. Gabion cages are a cage, box or cylinder filled with rocks, concrete or sometimes soils and have varying applications in civil engineering and erosion control. Plants with good rooting systems are especially useful in rebuilding the land. Drought tolerant crops and edible plants, especially leguminous crops such as sweet potatoes, potatoes and cassava that are drought tolerant are key to improving soil cover and assisting in soil improvement. Besides the technical know-how, the stakeholders have also trained the community in social cohesion, group dynamics, conflict management, sustainable management of shared natural resources and conservation agriculture. They have also taught the community ways of protecting top soil, such as; planting useful fruit trees and placing gabion cages. They have also showed them how to use mulch, compost and crop rotation to improve soil health, increase crop yields and resistance to pests and diseases. Since the project started, the Sihlangwini community, which is within the Luhlanyeni Chiefdom, has increased its production from its once degraded land. Crops include a variety of legumes, sweet potatoes and fruit trees. They have also started hay bailing initiatives to harvest the now abundant grass to feed livestock during winter. Most of the crops produce from the area are now sold in the local communities and markets. This year, the community has been able to produce about 50 Kg of sweet potatoes and another 50 Kg of both ground nuts and peanuts per week. “We are now food secure,” says Nomsa Tfwala, a member of the Sihlangwini community. “Our community now grows enough crops, fruits and vegetables for our needs. What is excess we sell. We started by rehabilitating about 16 ha of heavily degraded land which has been returned to agriculture to produce crops for both commercial and subsistence purposes , and have now covered about 200 ha. The visible improvement of the Sihlangwini area has inspired neighboring communities like Sithobelweni to follow suit..
LUSIP-GEF National Project Manager, Lynn Kota estimates that between 15 to 20 percent of arable land in Swaziland is no longer useful, and the incidence of farming land being abandoned is increasing.